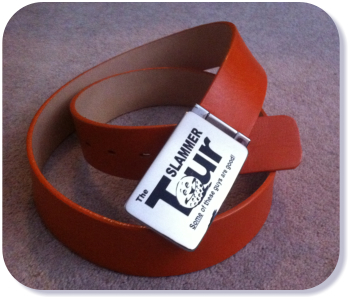 The Slammer Tour: Get your SlammerGear here! Get some personalized gear today! Swing easy and play well! Recruit a rookie and get a $10 credit towards SlammerGear  and if your rookie plays 10 events, you get a free weekday ClubEG Membership! Are you now a Number One? Fill out the form above and let us know who you beat and at which event, and we’ll make sure you get your Number One cap asap! (note maximum one cap per year). Don't be an unknown on the Tour. Order your new SlammerGear here!